For each product, you can fill out more informations. In addition to the title you can give a detailed text divided into multiple paragraphs, list of allergens, ingredients or nutritional values. 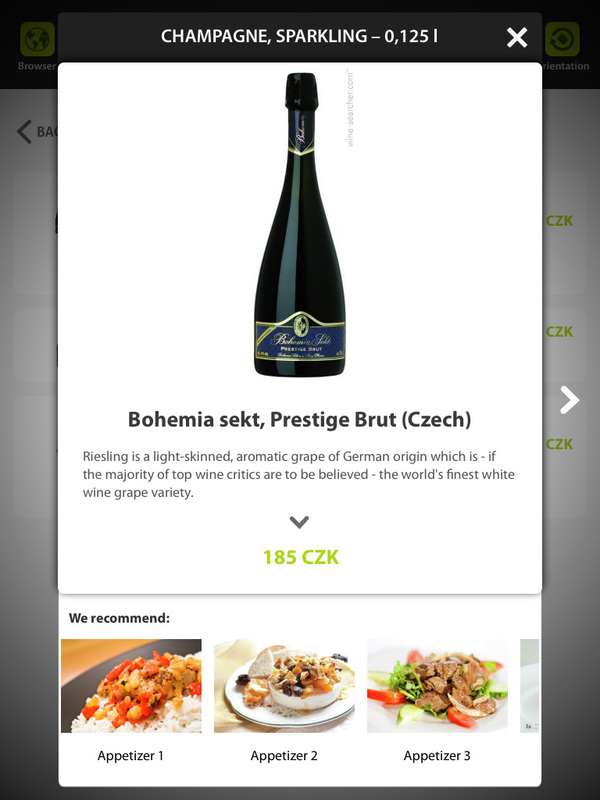 Spectu also offers a special wine card, where you can display a link to a vineyard, which is especially useful for wine experts, who want to read more detailed informations about selected bottle. In addition you can add interactive map with the location of the vineyard and street view. Thanks to street view your customers can see not only the gateway of Moët factory in France, but also go through the famous vineyard Raphael in the USA.